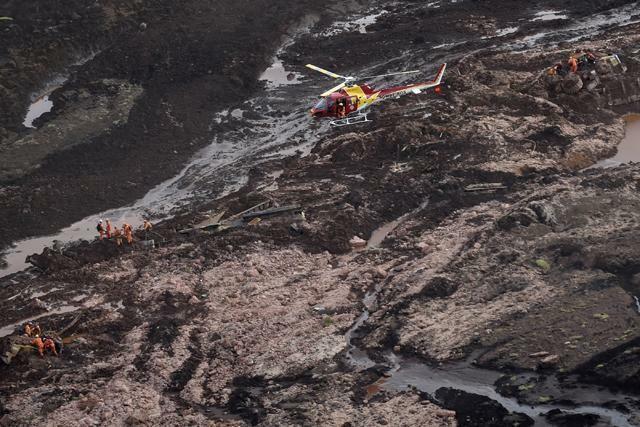 Thirty-four people were confirmed dead and nearly 300 missing, with hopes fading of them being found alive, after a dam collapsed at a mine in southeast Brazil. The disaster struck Friday at the Vale mine near the city of Belo Horizonte in Minas Gerais state, spewing millions of tons of muddy sludge across the facility and down towards farmland alongside the nearby town of Brumadinho. 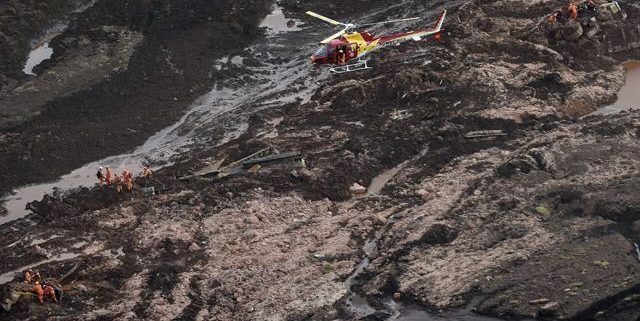 Dozens of helicopters were used in the rescue operation Saturday because the released mud engulfed buildings, vehicles and roads with a deep, treacherous layer. Rescue officials announced the death toll had more than tripled through the day as more and more bodies were pulled from the mud. By the last count, nearly 300 people were missing, virtually all of them mine workers listed by Vale. Among the more than 170 survivors rescued, 23 were hospitalized with injuries.